Our two sons are wearing the costume. One of them is 2 years old and the other is 3 years old. The idea came from their grandpa. 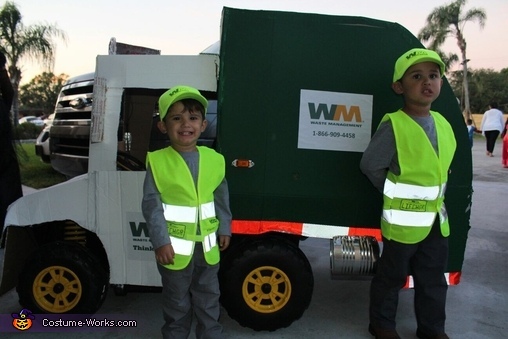 Their grandpa been work with waste Management for 30 years and we wanted to surprise him. Can you share more details of this project? What kind of car/truck is this built on? Is it made out of cardboard? Thanks so much!